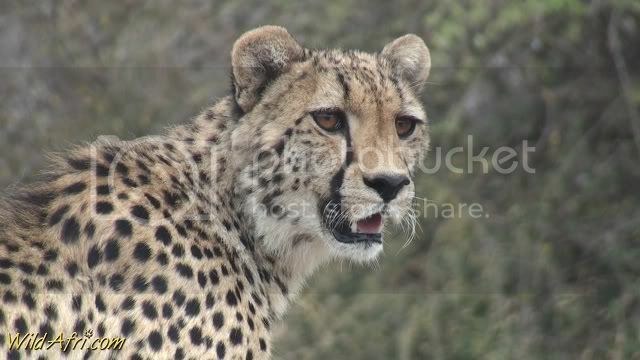 Another distinctive aid the cheetah has for hunting are the black tear marks running from the eyes to the mouth. These tear marks shield the cheetah's eyes from the sun and make it one of the deadliest hunters in the animal kingdom. I did not know that the tear marks shield them from the sun, thanks for the little grain of knowledge added!